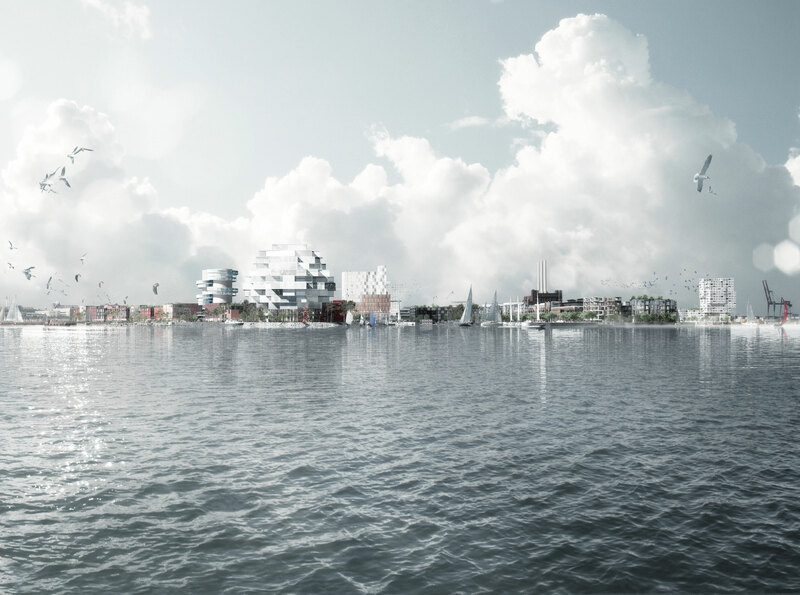 The development plan for Indre Nordhavn (Inner Nordhavn) is designed with a special focus on the urban spaces of Nordhavn, and it takes its starting point in the current structure of the harbour – this way the new part of town is divided into autonomous islets. 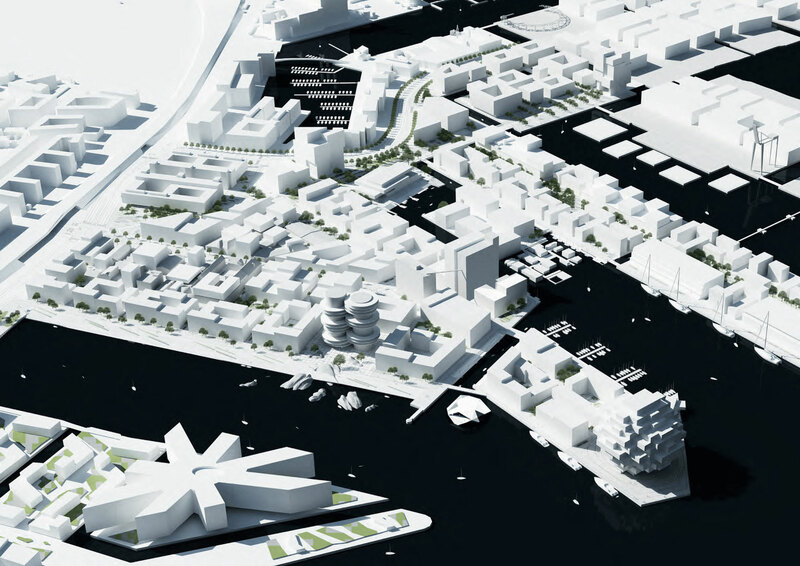 The masterplan incorporates a network of squares, parks, promenades and urban spaces, each of which offers something unique. 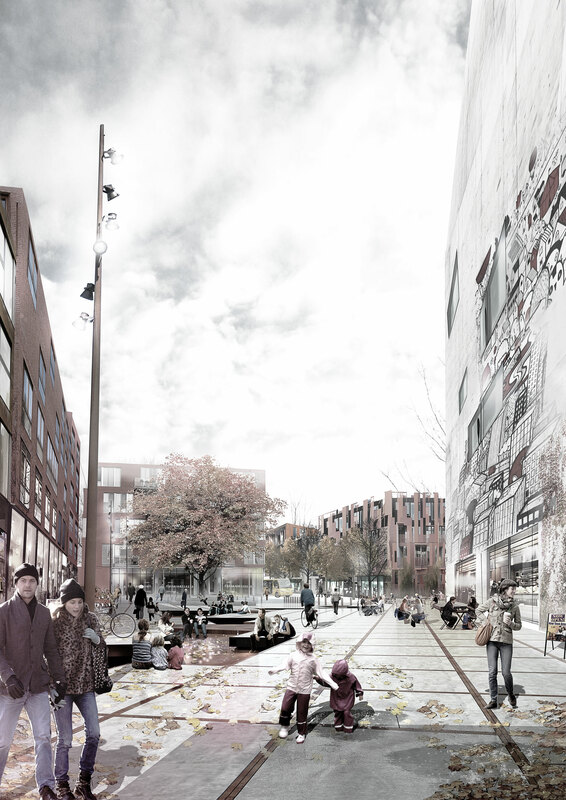 The urban spaces have different characteristics and meanings – from the regional city spaces that attract residents from all over the region, to the local urban spaces and gardens that point to the local environments, and facilitates stay, play and movement. The intention is to establish extrovert functions on corners of utmost importance and along certain streets, so that the city developes a character of a lively trading environment as well as zones for stay and recreation. 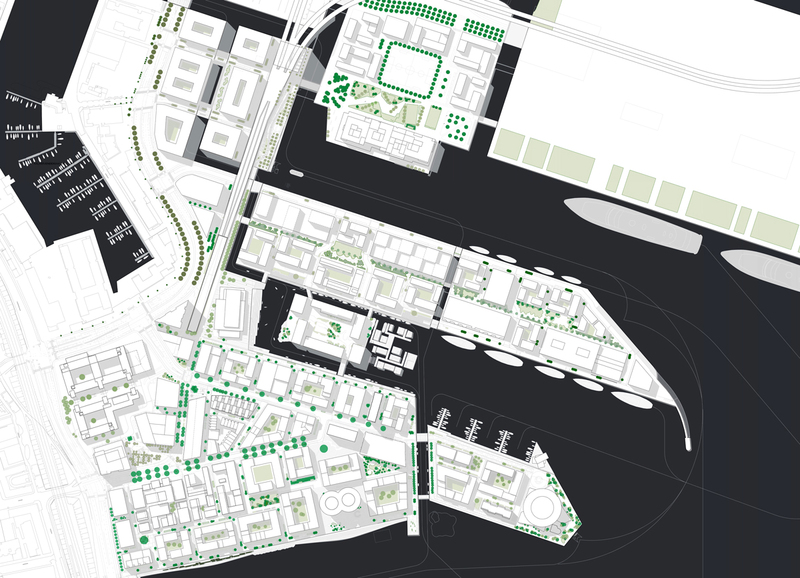 By maintaining existing buildings and functions, a compound city life is created. 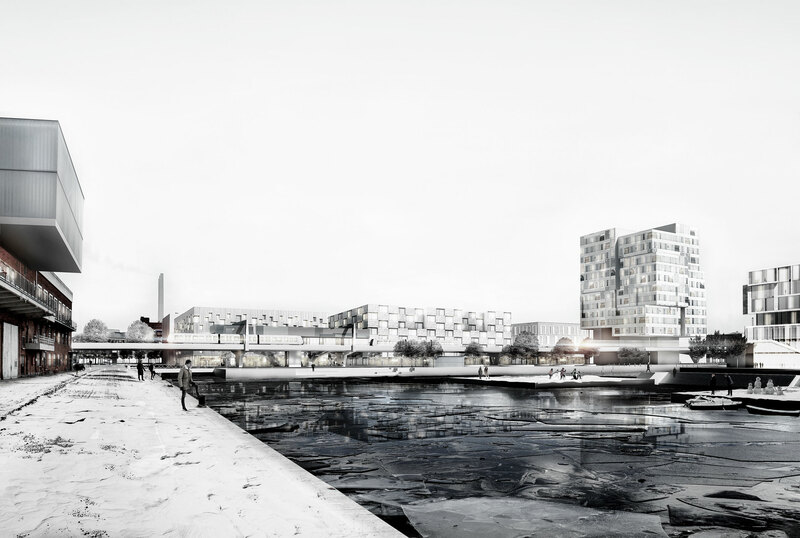 The Århusgade neighbourhood represents a special urban area and culture-historical environment with single monolithic buildings and a tight building structure, narrow alleyways, small irregular squares and great variation in architecture. 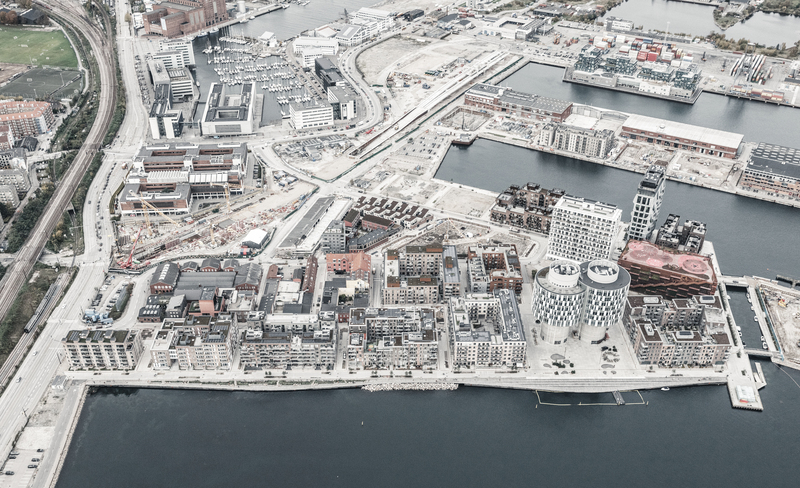 Nordhavn’s Århusgade Quarter was the first neighbourhood ever to receive the first prize in the DGNB certification.